To Safeguard the Wallet you must print or record the Bitcoin address and private key. You can use the My Address option below. Make a backup copy of the private key and store it in a safe location. This site does not have knowledge of your private key. If you leave/refresh the site or press the "Generate New Address" button then a new private key will be generated and the previously displayed private key will be lost. Add Funds to this wallet by telling people to send bitcoins to your Bitcoin address. Make sure you made a backup copy of the private key. A Bitcoin Wallet is as simple as a single pair of a Bitcoin address with its private key. A new wallet can be generated with the button "new address". BA.net Bitcoin Web Wallet Is the easiest way to send and receive bitcoins without installing any software. No need to register username, email or any info. Create a Bitcoin address, private key, experiment, test away. All code runs on your own web browser and does not depend on any central server. You are in control. 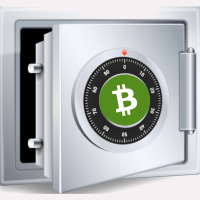 To Safeguard This Web Wallet you must print or record the Bitcoin address and private key. You can use the My Address Webapp. Make a backup copy of the private key and store it in a safe, separate location. This site does not have knowledge of your private key. Check Your Balance using the BA.net Bitcoin Web Wallet or by going to blockexplorer.com and enter your Bitcoin address. Spend Your Bitcoins using the Send Bitcoin Option. Remaining change will be sent back to the sending bitcoin address (source address). Simple. The amount of bitcoins you can spend will be checked before sending. Use the view history button for details. If the address has transactions pending with 0 confirmations, you will have to wait to send funds. 1 confirmation is enough to send bitcoins. You can set the miner transaction fee to any value you choose. or 0. Advanced Split Wallet You can create a private key with 3 components. Send the 3 components to 3 friends. And 2 friends are required to create an usable private key to spend the bitcoins. Click on Multisig for split wallets and more advanced features. Cold Storage, Paper Wallet, BIP38 Encrypt, Bulk Wallet and more. If you don't have the private key, you don't own Bitcoin. Be your own bank Design Objective.